Great flyer for the French stunner Mermoz. The wine was free and the cruises were full of fun and sun. there were 2 different cruises … both started and ended at San Juan. Great color pictures .. I bet those crepes suzette served in the dining room were amazing! 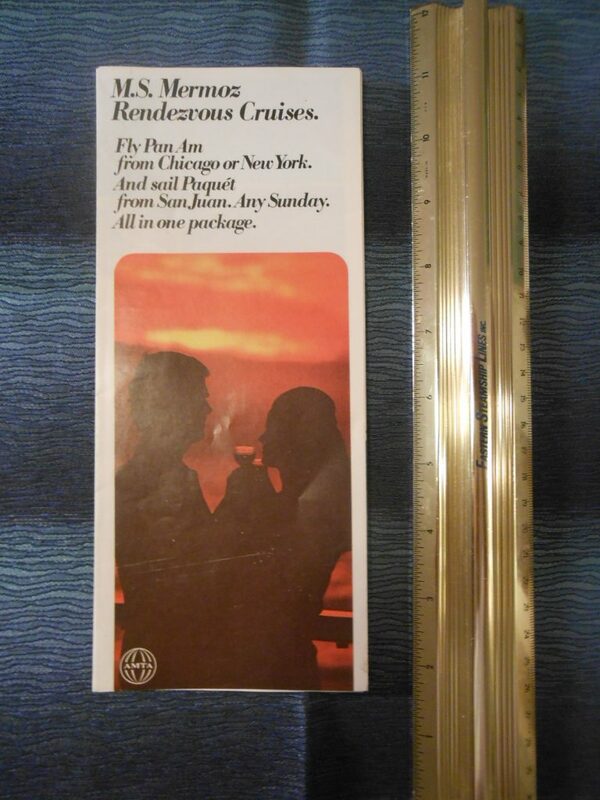 I have the brochure listed for this set of cruises as well!